Arsenal’s draft of Unai Emery’s contract shows how they want to avoid the mistakes Manchester United made in the past. The Gunners are entering a completely new phase in their history, as after 22 years, they will enter a season without Arsene Wenger at their helm. They decided to appoint Unai Emery as the manager, and he will surely not be given as much power as Wenger enjoyed during his time at the Emirates. 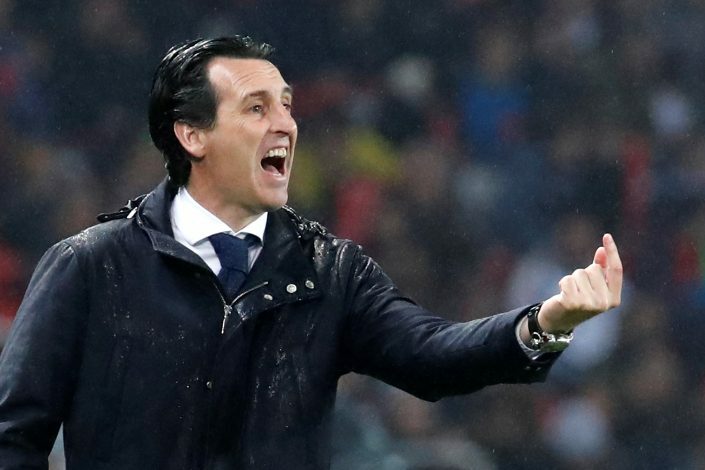 The likes of Sven Mislintat and Raul Sanllehi are now crucial parts of the decision-making group at the club, and reports now reveal that they had a say in Emery’s deal with the Gunners. The former PSG man, who was relieved of his duties in France not so long ago, has signed a three-year deal with the London outfit, but it is now understood that Arsenal have inserted a break-clause, a one of its kind in recent times. According to a report from The Times, Arsenal have an option to terminate Emery’s deal with the club just two years into his service. This will mean that they will not have to pay any compensation to the Spaniard if they end ties with him after the end of the 2019-20 season. This clause was inserted in Emery’s deal in the wake of how Manchester United suffered in the past. The Red Devils offered David Moyes a six-year deal, but sacked him within a season, and had to pay a lump sum of compensation which certainly affected their spending power. Arsenal want to make sure they avoid any such situations with Emery, but seem to be happy to give him more than a year to work his magic in England. Emery had joined PSG on a two-year deal, and has already managed seven clubs in 14 years since turning into a manager. Therefore, Arsenal will have to make sure that the experienced gaffer is given the right backing, so as to get the best out of him.